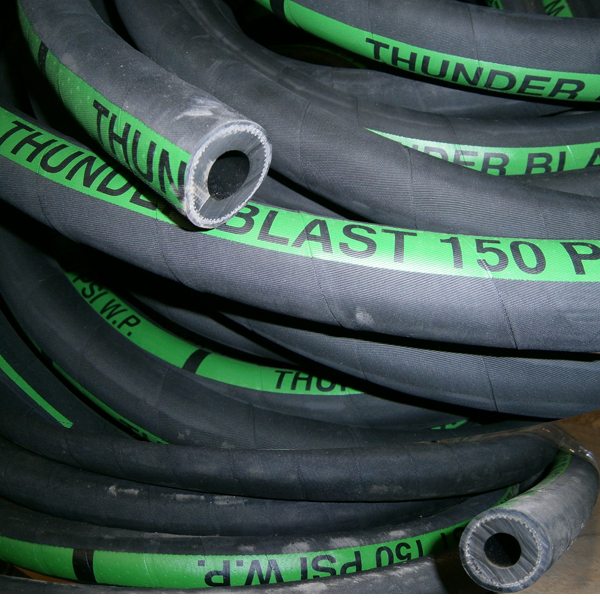 Hose designed for high PSI blasting. Available in the following inside opening diameters: 3/8″, 1/2″, 3/4″, 1″, 1 1/4″. ThunderBlast hose is packaged in 50 foot coils and can also be sold in custom lengths.